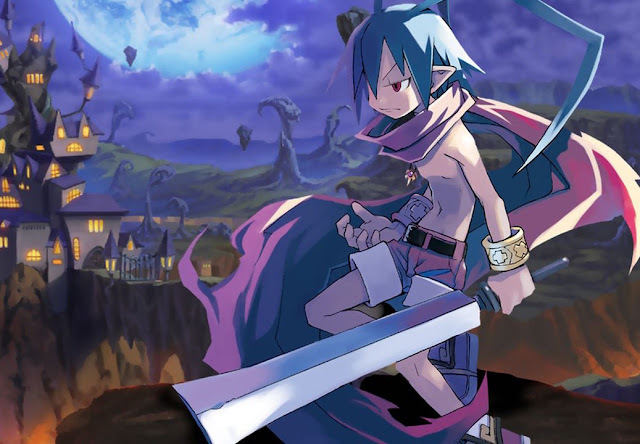 After being awoken from his sleep following from the death of his father two years prior, demon prince Laharl discovers that the Netherworld is in ruins, and so naturally, he sets off to take opportunity of that and become the overlord of the realm. Yep, this is one of the rare games where it's really fun to play as the bad guys. 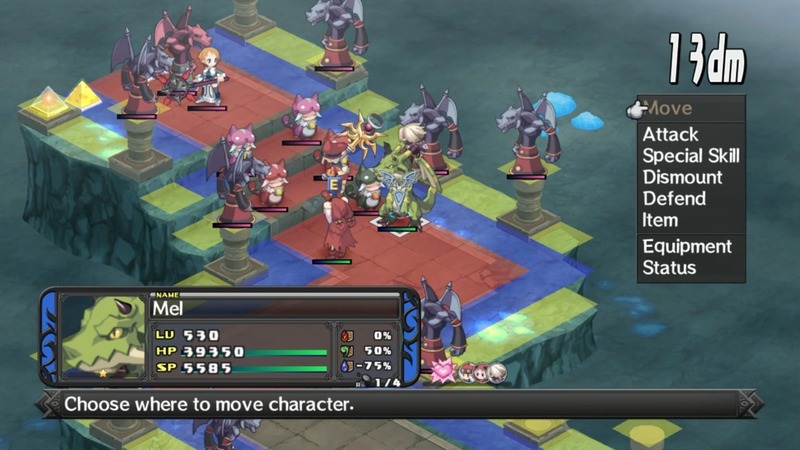 In fact, it never feels like you’re playing as evil, as the writing and style of Disgaea steps away from formulaic character archetypes and a silly 'good vs. evil' dichotomy. Even the simplest infantry units (which are adorable penguin-like Prinnies) are beyond the minimal character portrayal of other similar games. Every unit is unique which brings a lot of individuality to the experience. Related reading: The most recent Disgaea game is Disgaea 5 on PlayStation 4. Matt's full review. 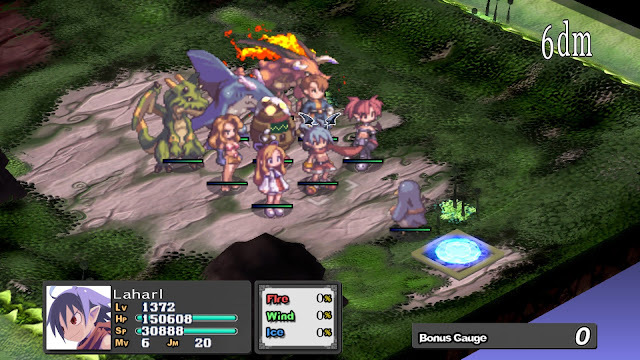 The gameplay is similar to other tactical RPGs like Fire Emblem and Final Fantasy Tactics. Each mission takes place on a 3D isometric board, with the board being divided up into a number of squares. When a battle starts, there is a sole spawn point, where all of the members of your party (up to 10 at any one time) can join the battle from. It’s unlike other RPGs where most characters are already position on the battlefield, in Disgaea has a portal where all players start, opening up the potential for many different strategies to occur right from the outset. Enemy AI poses quite the challenge too. They respond to flanking, bottlenecking and other general RPG tactics as you would expect a human player to, and rarely did their movements ever feel strange or odd. They look for the weak link that will bring your whole strategy down, or they will move to target the character that you’ve mistakenly left alone. The enemy is smart, which is what makes this tactics game all the more rich for it. In addition to the moving your characters and attacking, there are two other mechanics that keep players on their feet. The first is grid spheres. Certain areas of some maps are divided into colours. When a grid sphere is on the respective colour, the sphere will add either buffs or debuffs to both players and enemies. Some spheres might double the damage dealt by enemies, where others might increase the amount of experience earned by players if they attack while being stationed on that grid. Destroying these spheres will damage everything that sits atop the same coloured square on the map, which can lead to some very interesting combos. Spheres are normally scattered around the battlefield, adding another level if some players wish to increase experience earned to the power of their attacks. It’s a risk/reward scenario that is completely optional, as most battles can be successfully completed without worrying too much about these. There’s also the implementation of two commands, lifting and throwing. Most characters have the ability to lift up an ally or foe, in order to protect them, or throw them to an unreachable ledge. This adds further geographic strategy into the mix, and it's possible to pull off some incredible chess-like moves to get a character into the right position to deliver a killer blow with some practice. Disgaea is the probably the most theatrical RPG that I have played. There’s a great sense of performance with almost every attack, something quite spectacular to sit back and watch. Rather then attacks happening from each individual character following the order being made, each order is queued, and once executed, all characters play out their attacks one after the other. It creates a dominoing effect that is is so over the top and so extravagant, but satisfying nonetheless. Characters may also team up with partners when they are adjacent to each other on the game board. These combo attacks deal more damage, and are encouraged to be used as a means of taking out enemies faster. In addition to all the battles in the Netherworld, there is a mysterious Item World for Laharl and companions to venture into. The item world takes place within items obtained in the game and by going into these items (yes, really) players are able to level their characters up while making the items themselves stronger. Within each item is a randomised labyrinth spanning multiple levels. The further into the item you go, the stronger it will get. It’s a welcomed addition... after all nothing can beat randomised worlds in a tactical RPG. When a few party members lose their health points, it's not game over, the hospital will allow you to heal them back to fighting form. Failing a mission does see the credits roll, but it does not mean the end of the game. You are sent back to the start of the game with the option to carry over your save, meaning you don’t lose any progress with your characters or the items made stronger in the item world. For a genre that is often punishing, it’s a lifesaver that, after completing the early missions again, should be taken whenever presented. Sadly this port is hindered by confusing and at often poor control schemes. There has been no clear implementation of any PC controls, with all buttons being mapped to a number rather then using the XBOX or PlayStation buttons as prompts. The best part about this PC port is using the mouse, which allows for fast and accurate selection and moving of units. The port also fails to make any impression with its outdated graphics. It is clear this port is simply to bring the game to a new audience to appreciate what is a well designed game, it's unfortunate that the developers failed to bring some much needed improvements to the table too. Related reading: An interview with the President of Nippon Ichi from 2013.